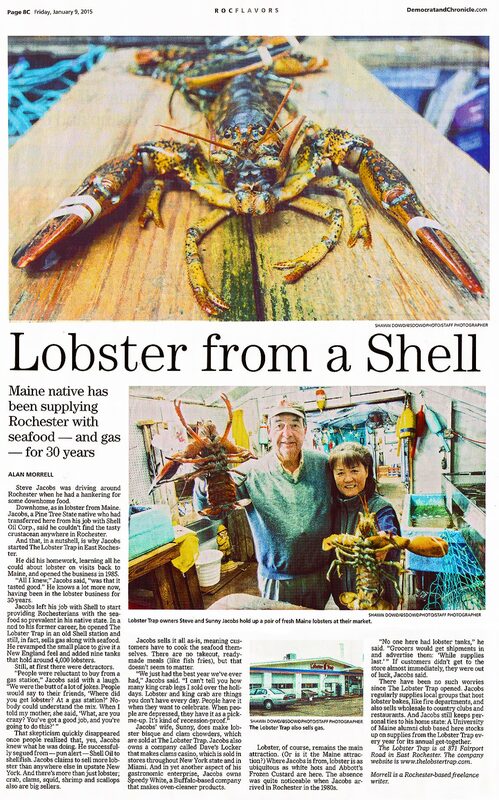 Over the years, our unique little combination of gas station and lobster/seafood shop has attracted some attention from the local press. You may click on any article below to read each article’s content. Alan Morrell wrote a nice article for the D&C which outlines our history and our thirty years of success at selling a combination of gas, lobsters, and much more. 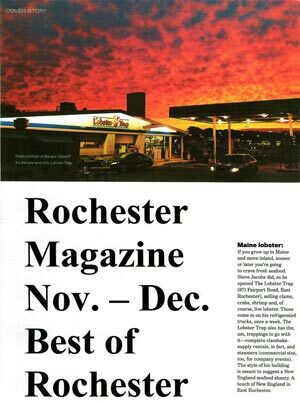 We were honored to be included in the 2010 edition of “the Best of Rochester”. 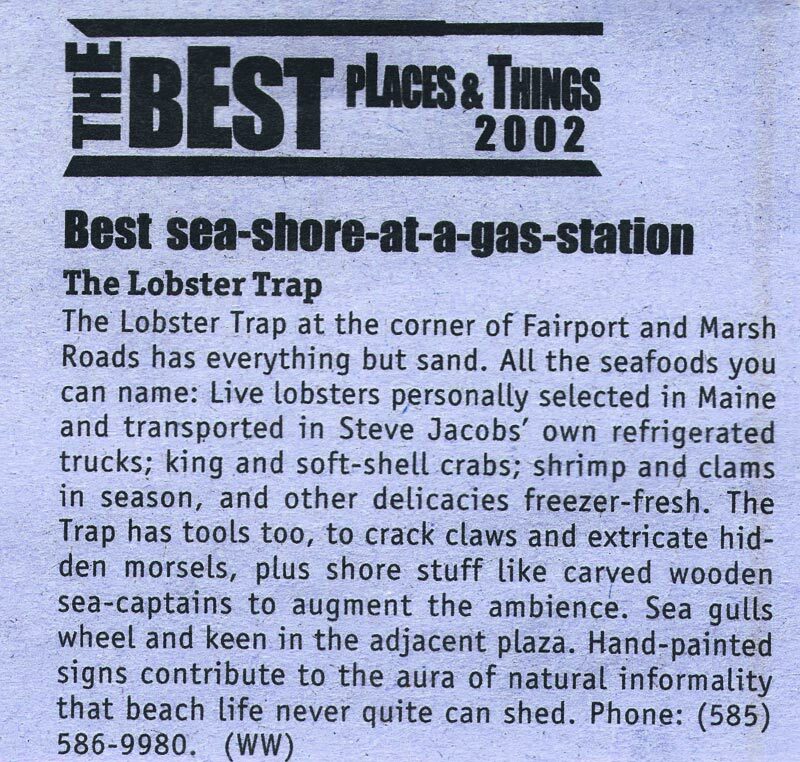 This article was a real highlight in recognizing The Lobster Trap at such a high level on the Rochester food scene. 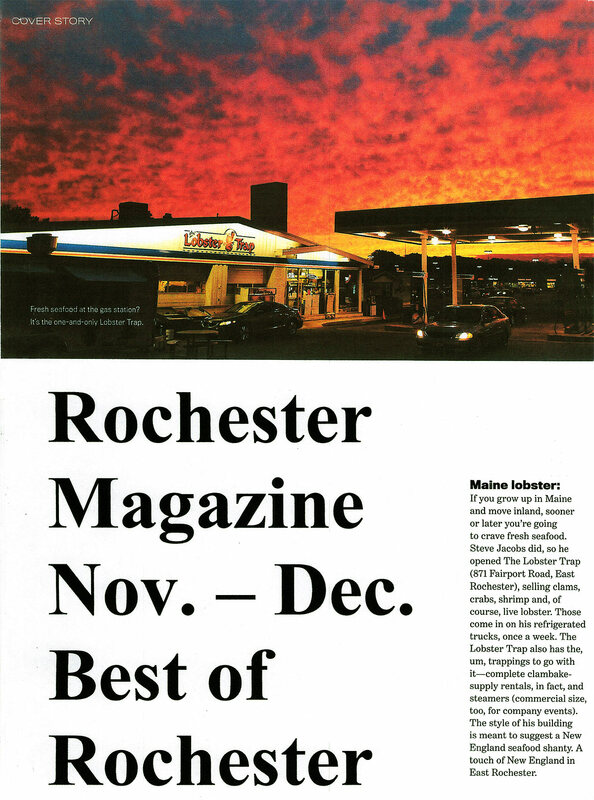 A nice little media blurb that we are proud of. 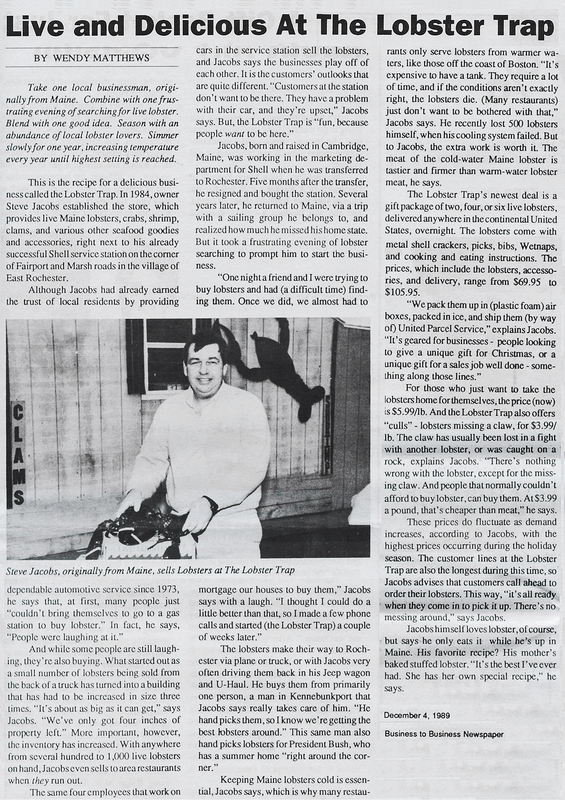 This was a nice little article about us and our shop. 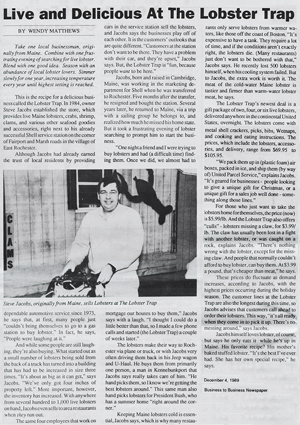 Probably the best “About Us” article that has ever been done. An oldie but a goodie, with a picture of a young Steve! 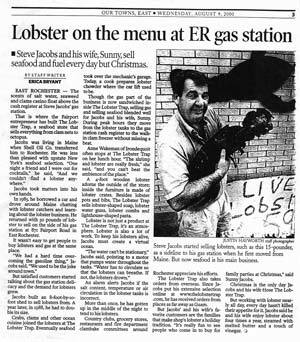 He shares that his favorite recipe is his mother’s baked stuffed lobster.